10 Easter holiday ideas at MAC! Put a spring in their step this Easter and come along to MAC where there’s all sorts of fun things to see and do. Let's make the holidays go with a hop, skip and a jump! "A spectacular show for all the family", this is a vibrant, energetic and gloriously funny musical from the award-winning Story Pocket Theatre. ANiMALCOLM combines physical theatre, puppetry and the company’s outstanding storytelling style to bring David Baddiel’s magical and wonderfully comic story to the stage. Catch this unmissable show on 20-21 April. Let them indulge their imaginations in fine digital style with courses like Digital Fruit: Make A Banana Keyboard on 23 April. They'll get to make a keyboard out of a banana, learning about digital art forms, electronics, coding, designing and building along the way! Meanwhile, our Young Inventors AI course on 26 April is for 12-17 year-olds who fancy working with AI, electronics, LEDs and apps to invent their own AI-operated system. And there are plenty more Easter course ideas here. We've got activities that you can all take part in together - whether you're more of a dancing troupe or a family of creators. Family Print Making and Family Textiles: Make A Bunny Bag (who doesn't want a bag with a fluffy tail?) let you work together on crafty creations, while Family Capoeira will teach you an Afro-Brazillian artform that combines martial arts, dance, music and history. Did you know that our family films cost £4.25 for both children and adults alike? (You don't even have to have a child with you if you fancy seeing one by yourself, we won't judge...) Easter family films include The Kid Who Would Be King, The Lego Movie 2: The Second Part and How To Train Your Dragon: The Hidden World - see all of our Easter family films here. 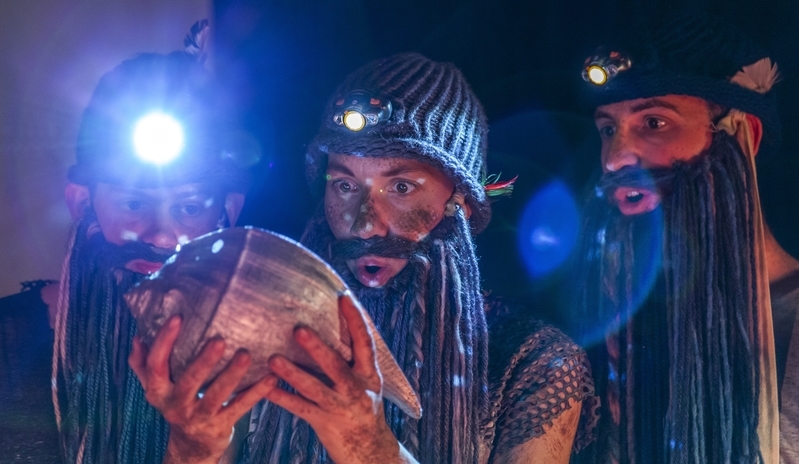 There’s a live music show full of shanty-singing fishermen and musical merfolk in The Boy and the Mermaid on 15 April. Ideal for the over-5s, this enchanting tale includes sing-along songs, puppetry, a shifting set - and, most importantly, a rapping octopus! If you know a 6-11 year-old who enjoys a little drama in their life, how about signing them up for our MAC Creative Camp: Inspired Drama? 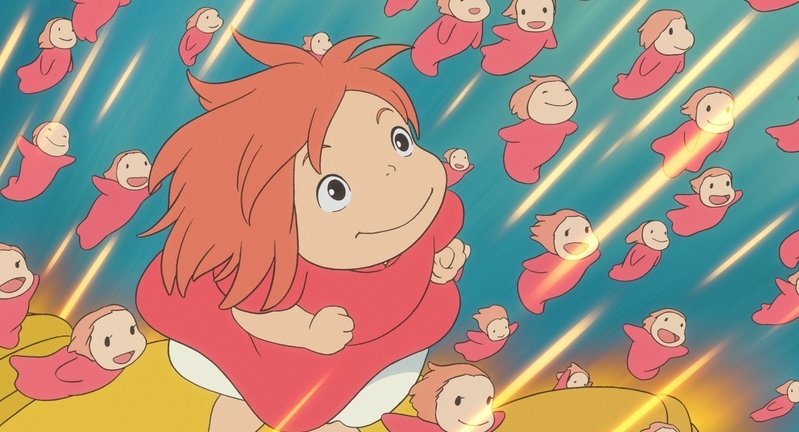 Over four days, they'll get to create an exciting world inspired by the animated films showing at MAC this Easter, including the fantastical Japanese stories and the amazing characters of Studio Ghibli. 9. FREE ART FOR EVERYONE! It's our season of photography here at MAC right now and we've got three fantastic exhibitions - all free entry. 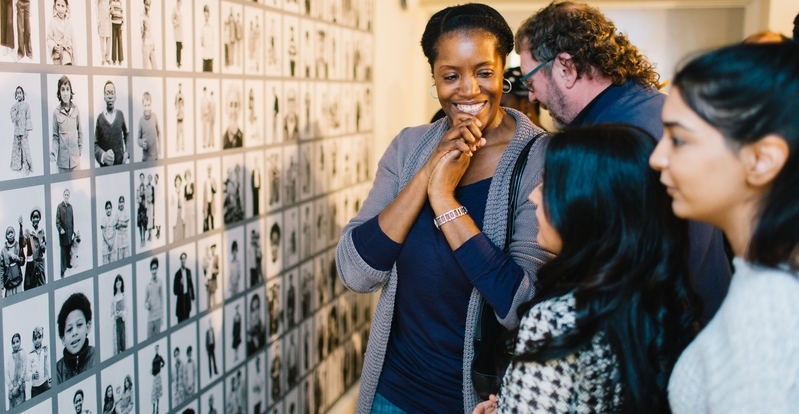 See Handsworth Self Portrait: 40 Years On by Derek Bishton, Brian Homer and John Reardon for a snapshot of social history (and some of the coolest selfies ever). Brave: The Girls of South Sudan by Kate Holt and Plan International is in our People's Postcode Lottery Community Gallery, telling the powerful stories of girls in the world's youngest country. And don't miss the Royal Photographic Society's International Photography Exhibition - the only chance to see this exhibition in the Midlands. If you're feeling inspired by our photography exhibitions, why not get stuck into some camerawork yourself? We've got lots of photography courses coming up, from smartphone socials to courses that will teach you how to get the best out of your kit. On 17 April, Photography Light & Pixel Stick for Young People is a one-day course for 12-17 year-olds who'll learn innovative photographic techniques, paint with lights and use an innovative pixel stick to make funky rainbow light waves! Check out all of our Easter activities here and have a fantastic holiday!